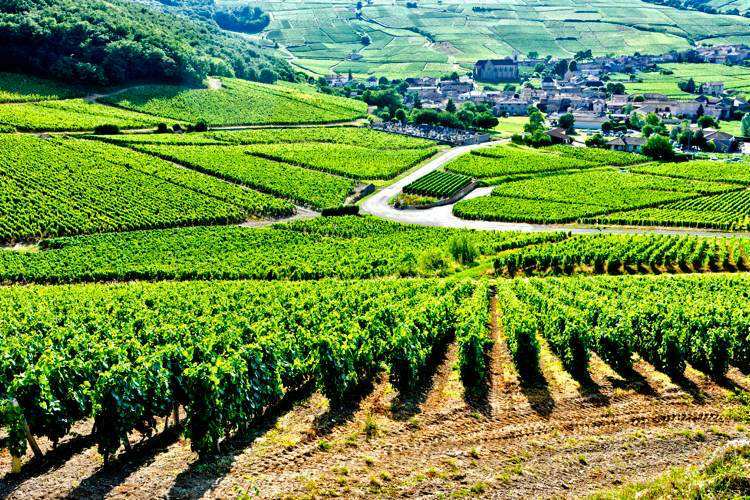 Discovery the Burgundy region’s wines, history, and picturesque beauty with a Burgundy tour from Paris. Your Burgundy tour will start with a Paris hotel or apartment pickup. After departing Paris, you’ll drive to the Burgundy region and first the stop will be the Château de Bazoches, a 13th-century castle built on the site of an old Roman post with a direct view to Vézelay. The feudal Château de Bazoches, has a trapezoidal architecture made up of four towers and a keep surrounding an inner courtyard. The current owners of the castle are descendants of Charlotte de Vauban, elder daughter of the Marshal, so they have some fabulous antiques from their famous ancestor. Later in the morning, you will arrive in Vézelay, one of the most beautiful villages of France and a place for the pilgrim to start on the road to St. Jacques de Compostelle. You’ll visit the Basilica in Vézelay, a masterpiece of Romanesque art and a UNESCO world heritage. After lunch (included in the Burgundy tour price), you’ll go to Chablis to see its beautiful 13th-century Saint-Martin Church. Also in Chablis, you’ll stroll some splendid vineyards before to enjoy a wine tasting in a cellar.